This entry was posted on November 13, 2013 at 10:03 am and is filed under 2013 Giller Prize. You can follow any responses to this entry through the RSS 2.0 feed. You can skip to the end and leave a response. Pinging is currently not allowed. Thanks for your overview. I value the posts and commentaries on this site. 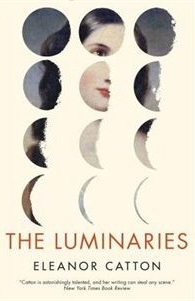 I’ve been hesitant to read The Luminaries – perhaps now I will. I’m saving The Orenda for now but can hardly wait to get to it. I certainly recommend them both but, as I indicated in my reviews, both are what I characterize as “slow” reads since each demands some independent thinking from the reader. Looks like I really ought to read The Luminaries. As ever, too many books, not enough time. Ha. I was anticipating a comment that asked if The Luminaries was worth the time required for 848 pages and had planned a response — so I’ll give it to you. If you are the kind of reader who likes to read 20 or 30 pages every night in bed before turning out the light — and don’t mind the prospect of spending six weeks on a single book — this novel would be perfect for you. While the early chapters are very long, they come in bite-sized chunks. And while the story is complex, part of the author’s approach is to examine events from several points of view so, if you have forgotten some details, there is a very good chance they will be revisited. Alas, I know your reading well enough to know that that hardly describes your approach. On the other hand, it is a New Zealand book, so you may owe it to your heritage to give it a shot. I’m seeing a lot of positive reviews of this one. I’m still pondering whether or not to read it as I don’t read historical stuff a lot. Well, you do read Victorian sensation fiction and Trollope, so it may have appeal on that front. The “mystery” of the murder is mainly a plot device to carry the story along — in true Victorian fashion the more interesting series of stories (because there is a host of sub-plots) involve the “cabal” of characters who were involved with the victim, the apparent suicide attempt and the missing man.